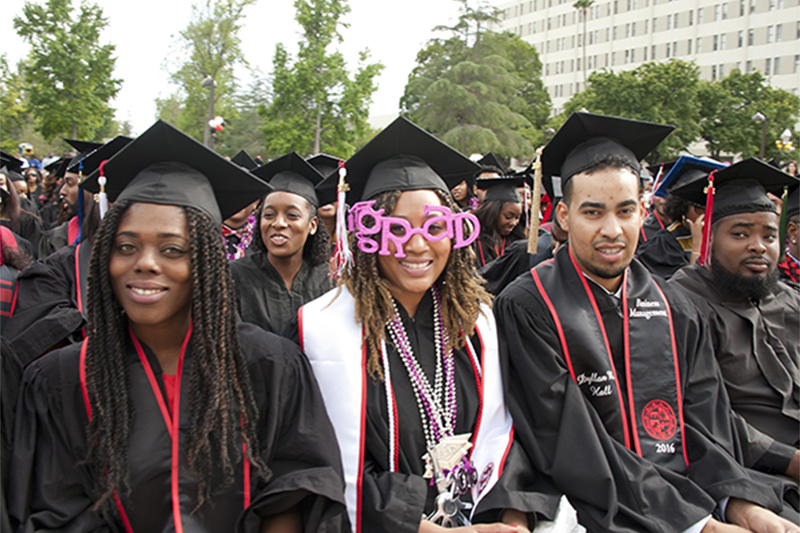 Hundreds of graduates of African descent participated in the 44th annual Black Graduation Ceremony at CSUN on May 15. Photo by David J. Hawkins. This year's ceremony was themed: We Dreamt, We Strived, We Achieved! 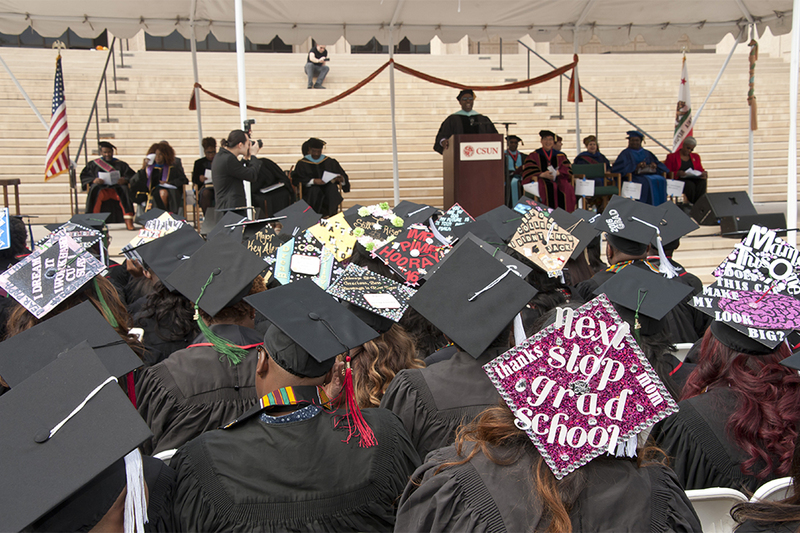 CSUN Department of Africana Studies Professor Cedric Hackett served as master of ceremonies. Photo by David J. Hawkins. The Black Graduation Ceremony is a cultural celebration to recognize the diversity of CSUN students and commemorate them on a successful academic journey. The ASA Dance Group demonstrated African dance and performance. Photo by David J. Hawkins. Debra L. Hammond, executive director of the University Student Union (USU) and Wang Family Excellence Award recipient— the CSU’s highest honor for faculty and staff, served as the keynote speaker. Photo by David J. Hawkins. Hundreds of family members and friends attended California State University, Northridge’s annual Black Graduation Ceremony on May 15. 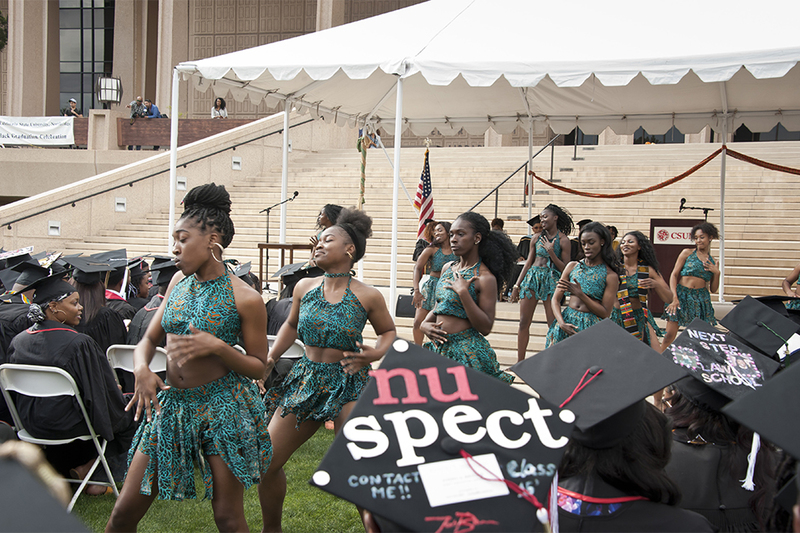 The event, which is organized by the Black Graduation Committee, was one of several cultural celebrations to recognize the diversity of CSUN students and congratulate them on a successful academic journey. The Black Graduation was launched in 1972 by black faculty, staff and students to honor African-American graduates with a unique African-centered celebration. 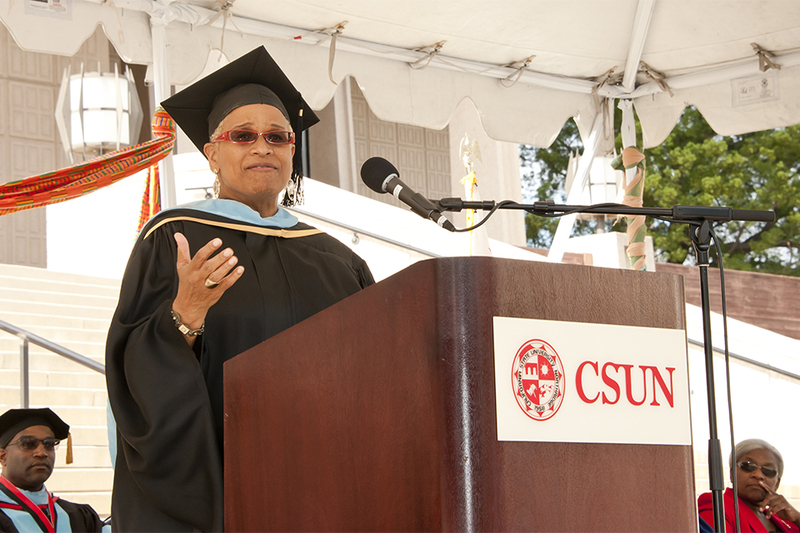 Debra L. Hammond, executive director of the University Student Union and Wang Family Excellence Award recipient, the CSU’s highest honor for faculty and staff, served as the keynote speaker. Robert Jerome Stewart IV, a graduating senior, served as the baccalaureate speaker. Attendees also enjoyed a selection from the CSUN Gospel Choir and a performance by the ASA Dance Group.